This month’s Martha Stewart Mad About Color palette is inspired by Martha's favorite time of year...Halloween! You can use the new palette to create the festive Halloween projects featuring Martha Stewart Crafts® Paints. Purchase the exclusive paint kit to recreate these projects and more. 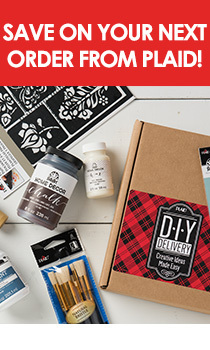 The kit includes full-color instructions for all 3 projects shown and the following paints: Sweet Potato, Marmalade, Chalkboard Gray, Chalkboard Black, and Erasable Liquid Chalk.